What can I send to Brazil? What items are restricted? Door to airport service, you will be required to collect the bag or pay a fee to the customs authority for delivery. Check with destination before sending. Due to recent intermittent strikes by customs authorities in Brazil, this may result in delays clearing and receiving shipments. If you are going to enjoy spectator sports in Brazil or to engage in some activities yourself, Send My Bag can help by shipping your luggage and/or equipment to Brazil. Send My Bag can also ship it home again, plus any purchases you have made while away. By shipping with Send My Bag you will avoid queues at bag drop and luggage carousels and will be able to hop on and off public transport without dragging bags behind you. You can also avoid the stress of paying excess baggage fees at the airport. If you are a student choosing to spend time in Brazil during your third year abroad, or planning to take your full degree course in Brazil, Send My Bag can send all the possessions you will need for your stay in Brazil. By shipping your things rather than bringing them on the plane yourself, you can have many more of your things with you and can avoid the risk of excess baggage fees. You can use Send My Bag to send your luggage and boxes to Brazil. No matter if you are going on holiday to Brazil or if you are moving to Brazil for an extended period of time, you can save yourself a lot of stress by sending your luggage with Send My Bag. This means you can bring lots of your favourite things and home comforts with you to make you feel at home in Brazil. With your luggage taken care of, you can focus on discovering your new surroundings. To learn more about sending luggage to Brazil, visit our ‘How it works’ page, or our ‘FAQs’. Brazil has good golf courses in the vicinity of most of its major cities, amounting to around 75 golf courses in total. The top-rated courses include Santapazienza, the Rio 2016 Olympic Golf Course and Terravista. You can try out these courses using your own beloved golf clubs, by shipping them to Brazil with Send My Bag. This will make travel to Brazil much easier since you won’t have to wait around at bag drop or luggage carousels, or have to drag large golf bags with you onto public transport, and you can avoid oversized baggage fees. See more information on how to send golf clubs with Send My Bag, including how best to package your golf clubs. If you want to enjoy a cycling holiday in Brazil, you can send your bicycle with Send My Bag and enjoy cycling through Brazil's stunning countryside. You could even try out the Rio 2016 Olympic Cycling Route. Sending your bike to Brazil is much easier than checking it into the hold of your plane. You will avoid oversized baggage fees and won't have to carry the bike to and from the airport. Your bike will need to be taken apart and properly packaged before being sent to Brazil. Check out our information on bike shipping to learn more. If you are moving to Brazil permanently, you will have to look into international removals to Brazil in order to transport all of your possessions. Before you give anything to the removal company, however, make sure that all your items are packaged up carefully so that they arrive intact. Use suitable packaging for your items and tape everything up well. If you are spending part of your degree in Brazil, if you are taking your full degree course there, or if you are conducting research there, there will be plenty of possessions that you need to bring with you, such as your course textbooks and many other everyday items, like fiction books, clothes and DVDs. Brazil has numerous top universities to choose from, such as the Universidade de São Paulo, the Universidade Estadual de Campinas and the Universidade Federal do Rio de Janeiro. Discover more about student shipping on our student page and find out how to receive your student discount. It’s easy to send a parcel to Brazil with Send My Bag. Sending a parcel is a great idea if you left some items at home when you moved to Brazil. You can ask a friend or family member to put the forgotten items in a box and send them on to you. When sending a parcel to Brazil make sure you select a sturdy box and seal it up well so nothing gets damaged in transit. Read more about sending a parcel and find out what you can send with Send My Bag and how to package your items. If you need to send large items, such as a writing desk or console table, to Brazil you could try air freight. Transit time is usually one to two days, making it a speedy service. It can be quite expensive, though, with prices increasing as your shipment size increases. You will probably also have to hire a customs agent to handle customs clearance for you. Another cost to consider is getting your items to and from the airport, which means the price of using air freight could quickly mount up. 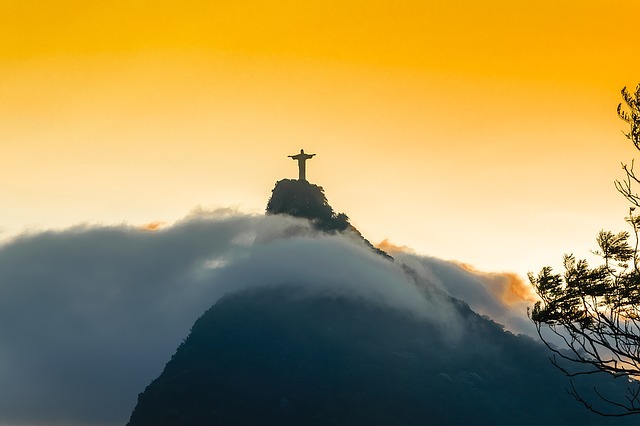 If you send internationally by air freight to Brazil your items will likely arrive at Rio de Janeiro, São Paulo or Viracopos. Sea freight or container shipping is normally used when shipping large bulky items, like a snooker table or canoe. These items are loaded onto cargo ships in containers. Sea freight shipping to Brazil can take a number of weeks, so it’s a good option if you don’t need to receive your items immediately. This option can be less expensive than air freight, but you will still need to pay for the services of a customs agent and will need to sort out how to get your items to and from the ports. This means the cost could be more than expected. When using container shipping to Brazil, your items will most likely arrive by ship at one of the major sea ports, such as Vitoria, Rio de Janeiro or Natal. Due to border police, my bags were delayed. But the assistance I received from Send my bag team and the updates, paper requirements and all other little things were excellent! Thank you so much! All Shipments to Brazil are Door-to-Airport. Consignee will be responsible for customs clearance at the port. This can either be undertaken by the consignee themselves or by a broker hired by the consignee. All consignments will land at either Rio de Janeiro (RIO), São Paulo (GRU) or Viracopos (VCP). Brazil’s climate can vary according to the region, with the Pantanal and Amazon areas becoming very hot during summer, reaching around 40°C. There is also a rainy season to be aware of, from January to April in the north, April and July in the north east and November to March in the Rio/ São Paulo area. Brazil hosted the 2016 Summer Olympics, in Rio de Janeiro. There are many forms that a trip to Brazil could take. You could visit one of Brazil’s vibrant cities, such as São Paulo, Rio de Janeiro, Brasília or Salvador. Or, you could explore Brazil’s many areas of natural beauty and abundant wildlife. This could be combined with any number of outdoor activities. You could choose to visit Brazil during carnival, meaning that you get to experience a great party atmosphere and witness elaborate costumes and floats. Rio de Janeiro is particularly well known for its carnival and Salvador has the largest carnival in the world. Salvador is also a very historical city, with many examples of Portuguese colonial architecture. The historic centre of Salvador was declared a UNESCO World Heritage Site in 1985. Brazil’s big cities have a host of shopping opportunities, including large, air-conditioned malls. Fortunately for the tireless shopper, shops tend to open late into the evening. The currency is the Brazilian Real. If you prefer more energetic pursuits, you can enjoy caving, rafting and snorkelling in Brazil. Or, you can trek through stunning scenery. Visit the Iguazu Falls, the Amazon Rainforest, Sugarloaf Mountain or Tijuca Forest. Or, you could spend your time lounging on the beach, at the famous Copacabana or Ipanema beaches, for example.